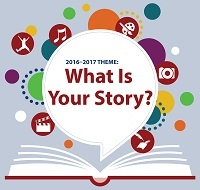 This year, National PTA asks students to share their story through dance choreography, film production, literature, music composition, photography or visual arts and enter according to local deadlines and instructions. Visit our new resource for students! 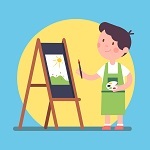 Here, you’ll find tips and information to help your child participate in the PTA Reflections program, and don’t forget to visit our online art gallery for inspiration and use #PTAReflections to share your family’s experiences in the program. Students of all grades and abilities are welcome to participate! For more information, visit PTA.org/Reflections. Our thanks to Guitar Center for their support as a new national sponsor of Reflections! The typical child spends over 7 hours a day looking at a screen—mainly a smartphone—which can affect their social, mental and academic development. Before school starts, have a conversation with your child about appropriate smartphone use. Time management isn’t just for adults at work. The first few months of the school year can be overwhelming for teens as they struggle to balance all of their schoolwork and activities. You can help your teen avoid your teen having an emotional breakdown by fostering a strong relationship that encourages open and honest communication. So, you want to be the parent of a musician. Perhaps you dream of raising the next Mozart, Audra McDonald or Yo-Yo Ma. Maybe you’re just thrilled about your child’s growing musical talents and aren’t sure about the next step. No need to worry, we’ve found a few tips that will give you a head start toward harnessing your child’s musical interests to develop a lifelong love of music. Interested in improving family engagement at your school? This webinar is for you! Join our webinar on Sept. 21 at 2 p.m. to learn about the PTA School of Excellence program, ways to get started on the path to excellence and how exactly the National Standards for Family-School Partnerships can help. Register today! Sept. 27 at 7 p.m. EDT. The Human Rights Campaign and National PTA are partnering to deliver a webinar on Sept. 27 at 7 p.m. EST, which will help attendees gain an understanding of how to best support and welcome LGBTQ-headed families into their communities. Register today! Researchers Agree! Physical Activity at School is a Win-Win For Students, Parents and Teachers. With Polar, physical educators will have tools to inspire, motivate and teach your children the importance of a healthy lifestyle. Polar provides heart rate and activity data that physical educators can use to fairly evaluate your children and prove the effectiveness of their PE program. Follow your child’s physical activity through parent accessible reporting while your child receives guidance through motivating, kid-friendly feedback. Besides breaking artistic boundaries, what do artists Pablo Picasso and Salvador Dali have in common? They received encouragement from their parents when they demonstrated a passion for art at a young age. The Park West Foundation, the nonprofit arm of Park West Gallery, proudly supported exposure to the arts with National PTA and its parents during National Arts in Education Week. Practicing healthy habits like regular hand washingcan help prevent the spread of germs, reduce the number of sick days and ensure that kids are in the classroom to learn. To learn more about Lysol’s Healthy Habits Program, visit lysol.com. We Deliver the Food. Your PTA Earns the Funds. With the Schwan’s Cares fundraising program, your supporters enjoy our wide assortment of delicious foods from Schwan’s Home Service, Inc. while you earn funds for your PTA. It’s so easy. Join over one million TeenSafe parents who have access to the most comprehensive range of monitoring tools for modern families. With TeenSafe, parents can discretely supervise texts, social media, web activity—or turn it all off with the touch of the “Pause” button. 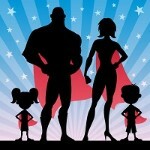 ← National PTA School of Excellence Webinar – Wednesday September 21st 2 p.m.